Powerbank Platinet PMPB60 is high quality power source for longer outdoor trips. The case is made of aluminum. This is high-capacity portable battery for charging electronic devices such as iPhone, iPad, iPod, smartphones, mobile phones, cameras, camcorders, MP3/MP4, GPS and other devices powered by 5 V. Rechargeable polymer battery with a capacity of up 6000 mAh allows even several times to charge the device. The device has two USB ports: one 1.0 A and the second 2.1 A for charging the iPhone, iPad, iPod and other devices that require a higher current amperage. 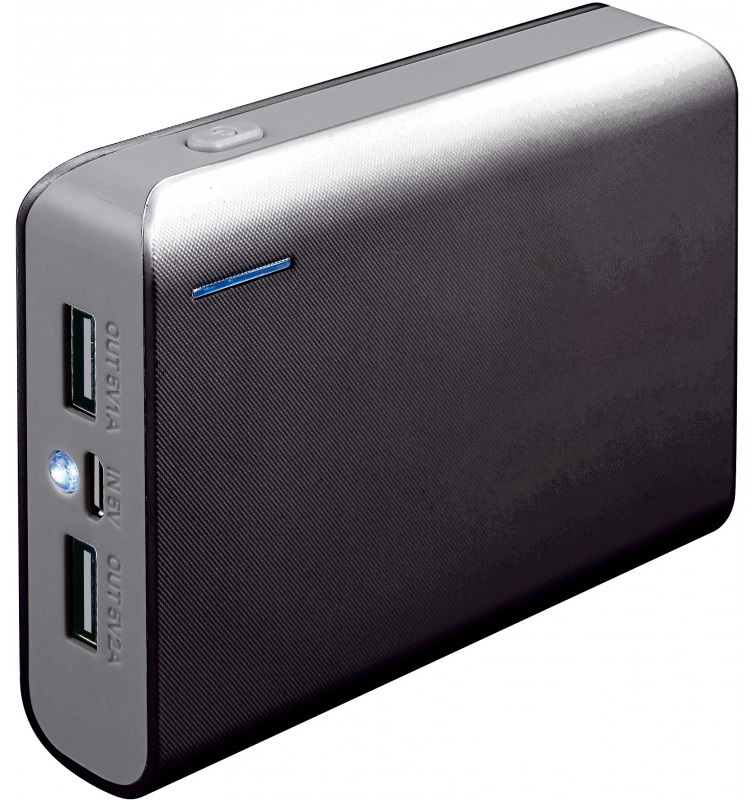 You can charge this power bank via USB port (eg from a PC) and network 240 V using an adapter. It is provided with 4 LED - battery level indicator. To turn on the torch function, press the button on the front of the device twice..